Ice Princess. 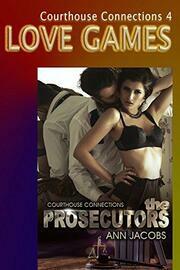 That's what her ex called prosecutor Sandra Giancone. With him, she was. She needs a man who sees past her carefully regulated exterior. A man who can strip away her control and release her desire. Her best friend, chief of detectives, Rocky Delgado, has been lusting after her for years, but he never imagined Sandy might be the submissive of his wildest dreams. Whan an unexpected discovery tips him off to her secret, Rocky uses tender persuasion to prove Sandra can be both loved...and mastered. This is an original, all-new novella based loosely on the story in Mastered, published by Ellora's Cave Publishing in 2003.